The Canadian government has announced its first supercluster in Halifax, kicking off a cross-country tour of announcing shortlisted superclusters across Canada. The Ocean Supercluster was the winning applicant from the Atlantic region. 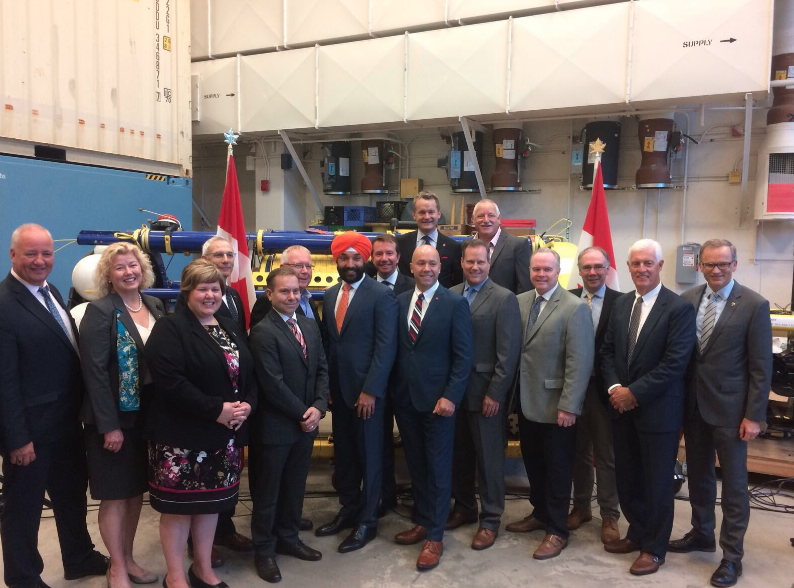 The Globe and Mail reported that the Ocean supercluster would be led by Emera and Clearwater Seafoods to invest in digital technologies for offshore industries. An advanced manufacturing supercluster including companies and universities in the Toronto-Waterloo corridor, auto parts maker Linamar, Maple Leaf Foods, and Miovision. The goal is to improve manufacturing efficiencies. A protein innovations supercluster from Saskatchewan led by agriculture firms, including Regina’s Alliance Grain Traders and DowDuPont. An AI-powered supply chain supercluster led by Quebec City’s Optel Group, and backed by BCE, CGI Group, and Alimentation Couche-Tard. The group wants to use artificial intelligence to improve business processes in retail, manufacturing and infrastructure sectors. A group led by Montreal-based flight simulator maker CAE looking to bring digital technology advances to aerospace. A second agriculture consortium led by Calgary-based Agrium, working to make Canada a preferred global supplier of sustainable high-quality safe food. An unnamed digital technology group including BC firms like Telus, Timberwest Forest, and six postsecondary institutions. Full applications are due from shortlisted groups by November 24. Out of the nine shortlisted, five will be selected as official superclusters. The $950 million supercluster initiative was first announced in the Canadian government’s budget in March 2017, announcing an interest in digital, cleantech, agrifood, advanced manufacturing, biosciences, and clean resources industries in particular. The government officially opened applications in May, adding that eligible consortia must include a minimum number of partner applicants, and be represented by a lead applicant. Consortia must also use funding from the private sector and co-invest — dollar for dollar — to match the federal contribution approved under the program. The government has obtained 50 proposals involving over 1,000 firms and 350 participants. The Globe reports that final bids could be different from the shortlist, and has encouraged the nine shortlisted to bring in more partners — and for those rejected to join groups that have been shortlisted.